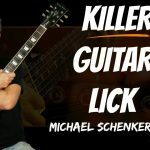 Blues Ending Lick Lesson – Learn a Classic Blues Ending! Home / Blues / Blues Ending Lick Lesson – Learn a Classic Blues Ending! Learn to play the classic blues ending lick for the perfect ending to your blues jams! Watch now and never get a sloppy ending to your blues jams ever again! Learn how to use this classic blues ending lick for a cool sounding ending for a blues in any key. So many guitarists can jam a blues but don’t know how to end it. They just stumble into an untidy and unprofessional ending! Use this blues ending lick to stop this happening to you. 0:11 Here’s the classic blues ending you’re going to learn. Having a blues ending lick like this one gives you a slick ending to any 12 bar blues progression. 1:00 Step by step breakdown. This blues ending lick is in the key of G, meaning it would go with a 12 bar blues in G. Later you’ll learn how to play it in other keys as well. 4:54 Tagging the ending lick onto a 12 bar blues. It’s important to start the ending lick at the right point in the 12 bar blues – otherwise it won’t sound right. Start the lick on beat 2 of bar 11- this will fit perfectly. 5:59 Adding the G chord onto beat 1 of bar 11 sounds a bit slicker still. Here’s exactly how you can do this. 6:55 BHow to play it in other keys. This is an essential part of being able to use this ending lick! Here I’ll show you how you can move it into any key you are playing in. This isn’t hard to do – watch to find out.